Perfect for small private meetings. It was cold in January when we placed a group there but the staff made them feel warm and welcomed. Our company visited Wild Dunes June of 2012 and was very please in nearly every aspect of the program. Event staff: these individuals took great care of my events and attendees. We had young children, teenagers, and seniors in our group and the staff was very helpful in finding activities to fit everyone's needs. F&B: delicious food varieties and creative dinner sites and themes. Accommodations: there is such a wide variety of rooms, condos, houses, private housing, etc. to chose from. Something to fit any need. The hotel is the ideal "southern hospitality" accommodations. The Wild Dunes was in need of a face lift when we were there about 4 years ago and I believe that has taken place. I hope to hold another meeting there in the future. It is beautiful country and only 30 minutes from the Charleston airport. Charleston is a wonderful city to explore. There are many activities at the Dunes for individuals and families. Hiking and cycling is all over the place as well as a good on site golf course. They have an on site children's program which was very well received by our guests. There are nearby beach front houses available for those who do not wish to stay in traditional rooming. We recently held our annual Shareholder Retreat at Wild Dunes Resort. The entire staff excelled in customer service and continually went out of their way to ensure that all aspects of our meeting, meals and activities went smoothly. Many assurances were made during the sales negotiations and I must say that every one of them was met. The food quality was exceptional, the servers were professional and friendly, the meeting room was comfortable and well-equipped and the overnight rooms were clean, accommodating and had all the amenities of home. Our conference services manager was a pleasure to work with and her attention to detail was unsurpassed. She was accessible before and during our entire stay, never more than a phone call or email away. 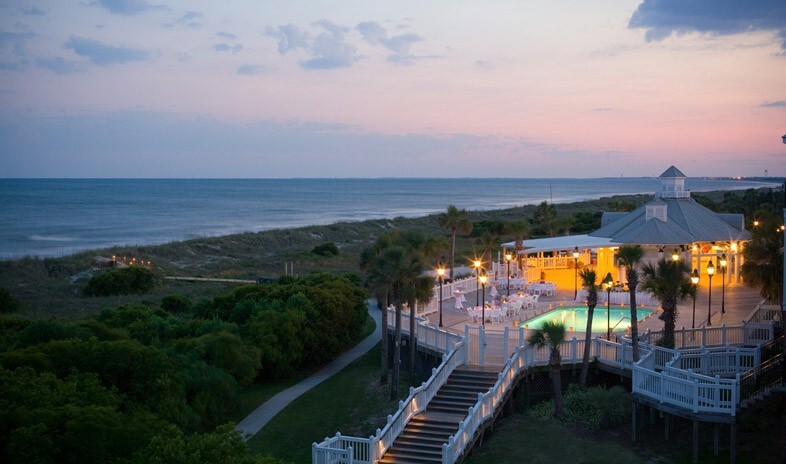 We have already booked next year’s retreat at Wild Dunes. After the service we received at this year’s meeting, there was no reason to look any further. This is our 7th year holding this program and we have been at different cities and location each year…..by far this was the best conference we have ever had! Our attendees are still raving about their experience. I want you to know what a pleasure it was to have our retreat at Wild Dunes. The staff should be commended on their excellent customer service, their willingness to take care of any requests immediately and their gracious attitude. The absolute professionalism of all that we dealt with shows me that Wild Dunes appreciates their customers and their staff. I received very positive feedback from the Board members in regards to the hotel, the meeting facility and the staff of both. I look forward to working with them in the future. I attended the National Council of University Research Administrators (NCURA) meeting May 1 - May 4, 2011 and wanted to comment on the outstanding service we received during our meetings/stay. Every staff member I came in contact with was polite, friendly, and helpful. It is clear customer service is important to the staff of the Wild Dunes Resort! I attended the same meeting held at the resort in 2008 and was equally impressed. I hope we return to Isle of Palms for another meeting in the future. Their service team was on top of everything. The customer service was discreet yet friendly, the food superb, and the atmosphere perfect for our training. My colleagues raved about the Boardwalk Inn, its service, décor and comfortable beds/rooms. It was truly a flawless experience.